You have a list of physical objects on site, which can be grouped into different categories of assets. 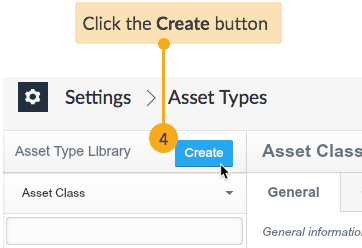 STEP 3 Go to the Asset Type creation page. STEP 4 Create a new Asset Type. 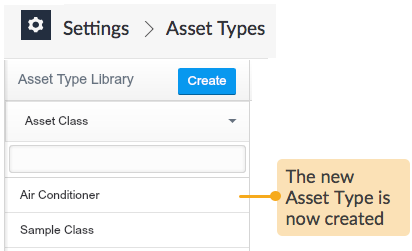 If the new Asset Type has a sub-component on site, you can create another Asset Type (which would be called as the child Asset Type) under it to form a hierarchy as discussed further on in this article. STEP 5 Create a child Asset Type. 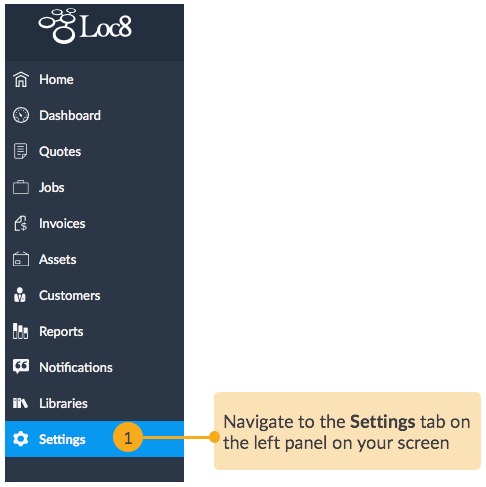 STEP 6 Give a name to the child asset type that is easily recognisable and coherent with the type of physical sub-components it represents on site. 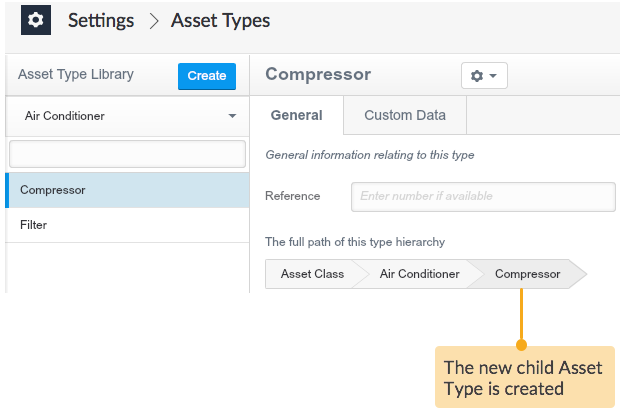 Once you have created different asset types for all of the assets that your company is maintaining, you can associate data groups and parameters with the asset types. 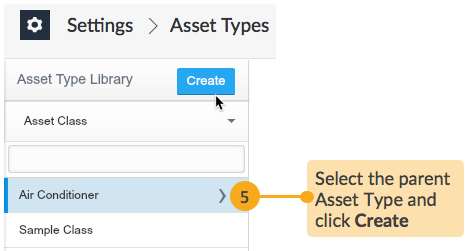 This has been discussed in article Add Asset Data Group to Asset Type.